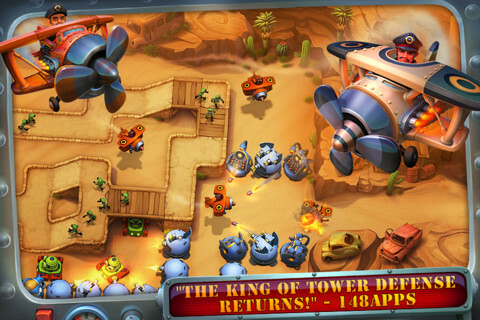 The sequel to the popular tower defense game for iOS, Fieldrunners, is now available in the App Store! 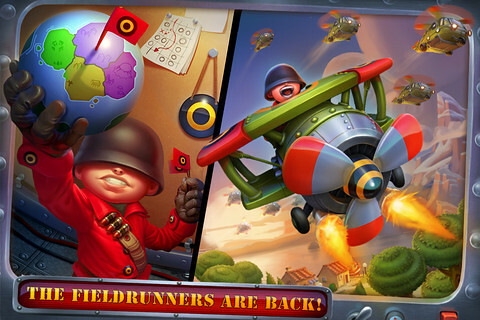 The biggest sequel in tower defense history is finally here: Fieldrunners 2 has arrived! From Subatomic Studios, creators of the award winning classic strategy game, comes an all new adventure that was years in the making. 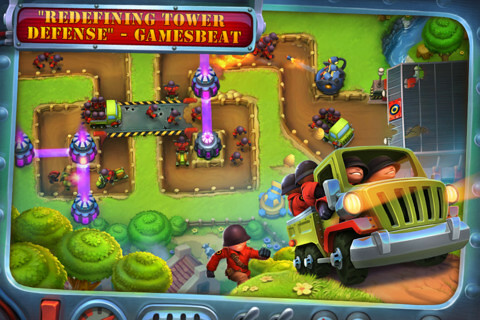 Build epic mazes out of powerful weapons to defend the world from the invading fieldrunners! The fieldrunners are back! With legions of soldiers and a gaggle of new tricks, they’re ready to conquer the globe. Or so they think! Our top scientists at SubaLabs have built a bleeding-edge arsenal of devastating weapons for any heroes willing to stop these dastardly invaders. Help your people by taking action – DEFEND THE WORLD! • Pint sized invaders seeking revenge! • Hours of action across a huge world stuffed with levels! • 20 unique, upgradable weapons for stopping the enemies in style! • Retina display support makes hyper detailed hand painted artwork shine! • Air strikes, mines, and powerful items let you attack with the precision of a surgeon! • Sudden Death, Time Trial, and Puzzle type levels put a fresh spin on tower defense! • Trenches, bridges, and tunnels make strategic choices more important than ever! • Customizable loadouts so you can pick the perfect weapons for each battle! • Revolutionary AI lets the fieldrunners move with stunning realism! • Elite enemy types bring new challenges to the battlefield! • A tower that launches bee hives! The iPad version will be out in the future.